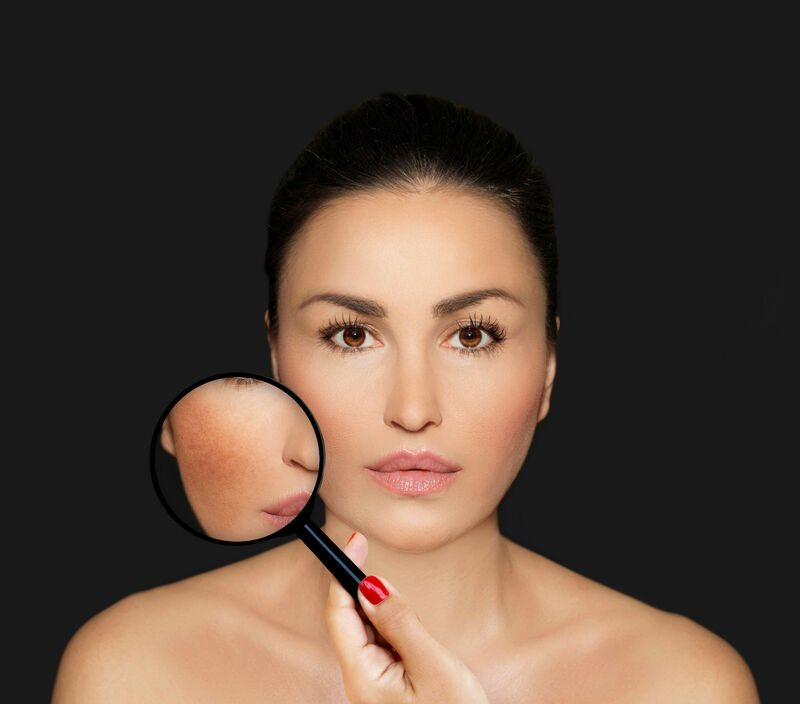 Home / Dr. Sylvia Ramirez / What Causes Melasma and What Can You Do About it? While uneven pigmentation on the face is not painful, it can make your complexion dull and hurt your confidence. This is especially true if you have patches of noticeable skin pigmentation like melasma. Melasma is a common skin condition that doesn’t necessarily pose any health risk. It is characterized by brown or grayish-brown patches that usually appear on the cheeks, forehead, chin, and upper lip and nose. Emotional distress is associated with developing these dark blotches on the face, not just because it causes dull and uneven skin tone, but also due to the fact that it can be challenging to treat or get rid of. If you have this skin condition and are looking for ways to treat melasma effectively, understanding first what causes it helps. Melasma, for the most part, is more likely to develop if you have a darker skin tone. This is because darker tones have more active melanocytes, the skin cells that produce color or melanin. Melanin refers to the pigment that gives your eyes, skin, and hair their color. Hormonal changes. Fluctuations in hormones can trigger melasma, which is why it is common among pregnant women (and called the “Mask of Pregnancy”). You may also notice these darkened patches when you stop or start taking hormonal replacement medication, as well as birth control pills. Sun exposure. Prolonged exposure to the sun can trigger and worsen melasma. This is because UV rays activate melanocytes (the color-producing cells) to release melanin, as a way of protecting the skin from UV radiation. This is also the reason why melasma is worse in summer and why people get it again. Genetics. Melasma may not be hereditary, but there is some genetic tie to the condition. It can run in families and those with blood relatives who had melasma are more likely to have this type of skin pigmentation. The formation of melasma follows the same mechanism to what causes other forms of pigmentation such as freckles and brown spots. The only difference is melasma blotches tend to be bigger. Who is mostly likely to get melasma? Melasma is more common in women (especially during pregnancy), but some men can get it too. It usually appears in adulthood between 20 and 40 years old, but there are also instances where it may show up at a young age and continue years later. Those with naturally brown or darker skin tone are more likely to have melasma than those with fair skin. The same is also true for those who live in areas that receive intense or plenty of sun and UV rays. The key step in getting rid of these patches is seeing an aesthetic doctor to confirm that it is really melasma and find out what causes or triggers it. You can also educate yourself about safe and effective treatments. Phytofloral and Tranexamic acid from Cutis Laser Clinics in Singapore are two effective ingredients that can reduce melasma and rejuvenate your skin. Available in the safe prescription supplement, the combination of Phytofloral and Tranexamic Acid makes up an effective melasma treatment. Continue reading to find out how they can help you with melasma and sun protection. Phytofloral is a natural antioxidant that can protect the skin from the sun’s UV rays, as well as free radicals that can cause common signs of aging such as pigmentation and age spots. It is derived from non-processed chemical tomatoes that are rich in phytoene and phytofluene, the only two naturally colorless carotenoids that can also absorb UVA and UVB light. Clinical studies involving the use of Phytofloral resulted in significant skin lightening and improved sun protection in the majority of test subjects. Tranexamic acid is a safe and natural dietary supplement that can treat melasma and protect your skin from sun damage and environmental toxins. It can help reduce pigmentation to give you a healthy and radiant skin. This supplement is made from a building block of the protein called lysine, which is an amino acid that was used to treat heavy bleeding. When used in safe and lower concentrations, tranexamic acid was proven in clinical studies to significantly reduce melasma. Keep in mind that this supplement is not intended for skin whitening. It is also important to follow the protocol, which is to take the supplements for three months, followed with an assessment from the doctor to find out if you need more. This is a prescription supplement, which only means that it should be taken with supervision from an experienced aesthetic doctor. You should also make sure to buy safe and proven products from certified aesthetic clinics in Singapore. Melasma does not go away on its own, which is why it may be the time to consider safe and proven treatment mentioned above to reduce its appearance. Contact Cutis Laser Clinics today and schedule a consultation with our Harvard-trained aesthetic doctor in Singapore, Dr. Sylvia Ramirez, to learn more about these supplements and other effective melasma treatments.